The Tepee from Paha Que Wilderness can be used as a shower stall, changing room or portable outhouse. 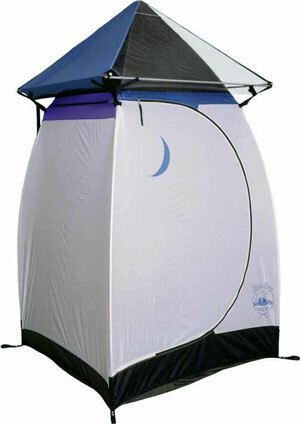 Inside the roomy Tepee is enough space to comfortably stand and move about when changing clothes or showering. The Tepee is made of top quality materials and will stand up to all types of weather conditions.� With it's large size, quality construction and affordable price, the Tepee Privacy Shelter will provide privacy and convenience for years to come.